The latest entries from some of the more bling-tastic brands haven't registered on my fragrance radar. I have sniffed the odd Clive Christian and Xerjoff, but I've rarely been moved to think about them for very long, let alone commit my musings to this site. But Lutens keeps playing on my mind. Maybe it's because there's something about the Section D'Or range which I find disappointing. I don't mean the scents themselves, but the fact that, with their release, the brand has upped the ante to an alarming degree. We all know that perfume houses aren't charities, but as far as business moves go, this one seems especially cynical and mercenary, not least because it comes from an organisation which, historically, has paid considerable attention to exploring and furthering the art of perfumery. 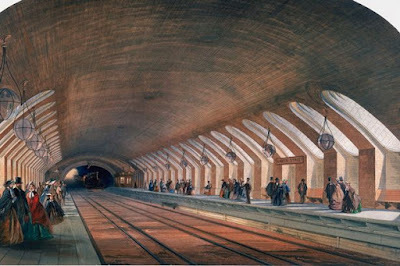 But let's put that aside for today and focus on the aforementioned art. I've had at least an introductory sniff of all of the Section D'Or scents. Last year, I got to know L'Incendiaire quite well, but I wasn't tempted to add it to my own collection or recommend it to anyone else. I recently spent a fair amount of time with L'Haleine Des Dieux. As the official press info states, it's not unlike a sub-facet of Ambre Sultan - mainly the smoky, powdery, vanillic parts - with a large dose of the spicy, musky dampness of cashmeran. It's attractive... but it ain't no Ambre Sultan. I confess, Cannibale pushed my 'smoky-leather-lover' buttons, but I can't say I found anything innovative or unusual in its composition, although I concede it must be near-impossible to find new statements to make in this genre. 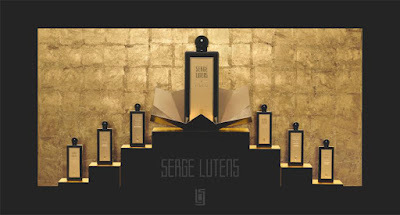 If we are to believe that Serge Lutens, the man, continues to wield control over the scented output of his brand, then I think we have to conclude that, as he's hinted in some of his (consistently impenetrable!) press releases, he's split himself in three. 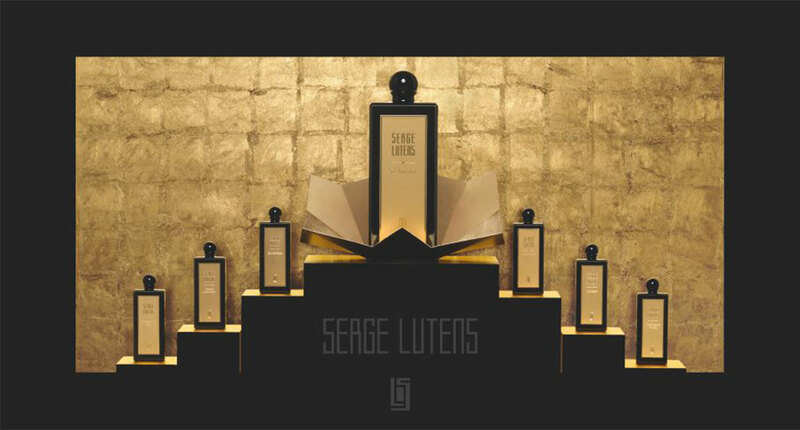 The Section D'Or set represents one stratum of the Lutens of old: the resins, the balsams, the spices, the headiness, the north African sensibility. But it's also too heavy for its own good, as though the weight of the responsibility to remain 'exotic' has become insupportable. The blood running through its veins is has thickened to the point of immobility. As far as the Eaux fragrances are concerned... well, more than ever, they appear to be the output of Serge The Imp. With their unashamed embrace of synthetic odours and their attempts to out-scrub every super-hygienic American creation in existence, they provide evidence of Lutens' more freewheeling nature, of his desire to play. As the Eaux have grown wackier, Uncle Serge's main range has become quieter, paler and thinner. I'm a fan of 2014's L'Orpheline - there were enough layers within its silence to engage my interest - but this year's La Religieuse hasn't justified my initial enthusiasm towards it. Despite my efforts to remain generous, the passage of time has caused me to see it as excessively simplistic. And now, the latest entry in the main collection, La Vierge De Fer, (strictly speaking, a 2013, 'exclusive' bell-jar scent, currently in wider distribution for a limited time) tests my patience further. It is ostensibly a lily - a nod to the virgin in the title - but instead of being metallic, as the second half of its name suggests, it is soapy, glacial and mono-dimensional. Look, there it is again: the notion that Lutens has collapsed into disparate, unconnected elements. He has stretched himself to the point of being ripped apart. Maybe Marrakesh's most enigmatic resident needs to take some time to pause and reflect. Maybe he needs to pull himself together. Or maybe he just needs to persuade the different parts of his personality to start talking to each other again... even if only every now and then. Is the Section D'Or for the Arabian market? Yes, probably. But my point is that it's like one specific aspect of the old Lutens many people loved. It would be wonderful if all three disparate facets could come together again. I've never forgiven Clive Christian for buying Crown Perfumery & the promptly discontinuing the entire line! Many years ago Crown had a standalone store in one of the London arcades, either Piccadilly or Royal, if memory serves - I bought bottle of Crown Ess Bouquet (which I loved & wore for a long time) & they were incredibly generous with samples, I was given at least half a dozen individual vials of ones I liked, all of which were eminently wearable - but I did love their Ess Bouquet! Carolyn, thanks for stopping by. It's very, very difficult to accept the discontinuation of gems we used to love, isn't it? Hmmm, I thought with your La religious review you were a bit generous towards it; besides which, if you have to construct a narrative context, as you did, in order to appreciate a perfume, I think that says that the perfume is lacking something. Are there going to be reviews of La Haleine des Dieux (no problem with that title, LUSH?) and Cannibale? Anon, firstly, I confess, I thought of Lush too :-) I doubt they're going to kick up a fuss. At the moment, I don't plan to add anything to what I've already written about the Section D'Or scents. As for La Religieuse... if I was being generous, then that's okay, because I do try to err towards generosity when appraising a fragrance. 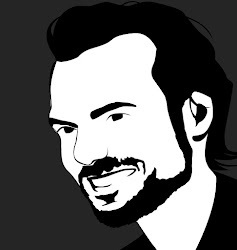 I have no qualms about posting negative reviews, but I always try keep an open mind and give the perfumer (and/or the brand) the benefit of any doubts I might have. When I wore La Religieuse, the narrative 'thread' presented itself to me: I didn't have to go hunting for it. But yes, I now feel that maybe the perfume doesn't have a huge amount to offer, other than being one chapter in the extended Lutens story, if you see what I mean.